Password managers have become a necessity today because it is becoming increasingly easy for hackers and attackers to steal usernames and password with various techniques such as XSS attacks. But the problem is that there is a lot of fierce competition in the password management space, and you might not know the best software to use. We have previously praised KeePass for being functional, free, and open source, but some competitors also do a good job. 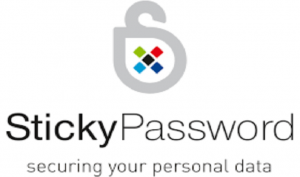 One such competitor in the password management market is Sticky Password which was developed by Lamantine Software. It’s pretty darn easy to use and it integrates across a lot of different platforms, devices, operating systems, and web browsers. It is very feature-rich and makes a great choice for those of you looking to protect your passwords from online threats. It’s true what the say – you get what you pay for. Though there are some free alternatives to Sticky Pass that will get the job done, they really don’t charge too much for their service and its best not to skimp on something as critical as data security. And a yearly subscription will only set you back a modest $19.99 per year ($1.66 per month) or $99.99 for an entire lifetime-long license. A mere $20 bucks is a pittance to spend on data security, and it is less than the price of a meal from a cheap fast food restaurant when you consider the monthly cost. It also has a smattering of various useful features – some that you would expect from this kind of software and some that is actually pretty clever. With the premium service, you will have the ability to sync passwords among many different devices via LAN connections of via the cloud. Other expected features include auto-creation of extremely strong passwords, auto password completion in web forms, the ability to import data from other sources such as password managers or web browsers, and cloud backup. Interestingly enough, they even have a feature that will securely store biometric authentication data such as fingerprints and multi-factor authentication. Last but not least, they have a quirky little feature of their company. Believe it or not, they pledge a portion of their profits to saving the manatees. They security protocols and mechanisms that they use to encrypt your data is extremely strong and industry standard. The protocols that they employ (AES-256) in their software are currently not able to be cracked, but there is one security concern that has some of the most die-hard security conscious users a little apprehensive. They are not an open source project – that is to say that they don’t share their source code with third parties in an effort to protect their trade secrets. Some people feel that this is a drawback because the N.S.A. and other governmental institutions have been found to coerce companies into coding backdoors into closed-source software in order to spy on people. For more info on these practices, make sure to check out our privacy guide page. While many people think that being worried about software purely on the grounds that it is closed source is going too far, others disagree and don’t want to take any risks when it comes to their security. Personally, I don’t think that you have anything to worry about from a company this size, but it is true that their code can’t be audited by a third party because they aren’t open source. You should also know that the software doesn’t have any feature to backup or recover your master password. This is done in the name of security, because if they had password recovery tools it would be easier for someone to compromise your entire password database by recovering or resetting your password. But this is both a blessing and a curse because if you lose or forget your master password, you will need to rebuild your password database from scratch. In addition, the ability to sync passwords over your LAN or your Wi-Fi is a much more secure manner of sharing your passwords with other devices. While it is impossible for people to hack into your password database if files in the cloud were compromised, it is admittedly more secure to transfer the data across your LAN because no third parties are involved. If you don’t already have a password manager, you really do need to get one. While there are free versions of these tools out there, this is actually an attractive option. It works well, it’s easy to use, and you don’t have to worry exorbitant prices. 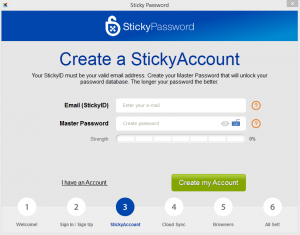 StickyPassword is incredibly inexpensive and it’s wealth of features easily justify the measly cost of the software. As an added bonus, you can rest well at night knowing that you did your part to help the manatees!